The Yamaha PSR S650 is a good entry level keyboard. 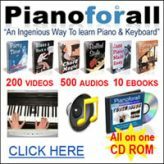 Great for beginners or someone who is on a budget but still wants a good quality keyboard. When it comes to keyboards and instruments, everything is relative and the price is usually an indicator of how good a keyboard you're getting. For $800.00, this keyboard is worth it. What I particularly like about the Yamaha PSR-S650 is its Mega Voice feature. The voices that make use of this feature sound very real indeed. 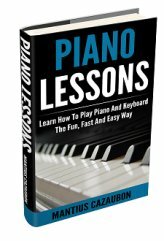 You get various playing articulations, techniques and performance sounds. The best one is the guitar voice with its hammer-on, slide and mute sounds, as well as soft, medium and loud sounds. Guitar MegaVoices also feature strumming and fret noises. If you're looking for realism in an entry level keyboard you've found it. The Yamaha PSR-S650 has a total of 359 instruments voices including 9 MegaVoices, 18 Cool!, 22 Live! and 12 Sweet! Voices. For a keyboard of its class, I found the voices to sound very good. There are 181 accompaniment styles as while. Like with most portable Yamaha keyboards, just select a style and a voice and play along. You can sound like a complete band, thanks to this expressive feature. Another feature that really stood out for me on this keyboard is its voice expandability. The keyboard includes a 16MB FlashROM that allows you to store additional Audio Samples, Voices, Drum Kits and Styles. You're not limited to the voices that the keyboard is shipped with and that for me is awesome. You can connect the PSR S650 directly to your computer thanks to its USB TO HOST connection. You can store your data via the USB TO DEVICE port. Do you want to tune your scale differently? You can. You can create your own scale if you like. Otherwise, there are various presets to choose from, like Arabic or Pythagorean. I recommend this keyboard to anyone looking for an entry-level model. Go here to buy a Yamaha PSR S650 keyboard.